During these final days of the 2012 election campaign season, I am revisiting some of my favorite politically themed movies. They span over six decades and explore political issues that continue to resonate, such as moral character and special interests. These films offer both entertainment and food for thought regarding America’s governmental process. 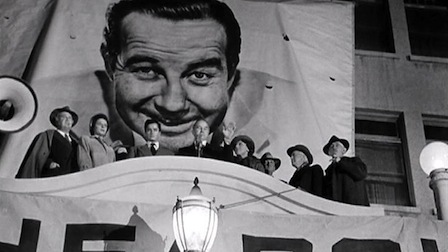 The story of Willie Stark’s (Broderick Crawford) gubernatorial rise and fall raises the following questions: Can an honest, principled person succeed in politics? Or does the political system attract those who are corruptible? 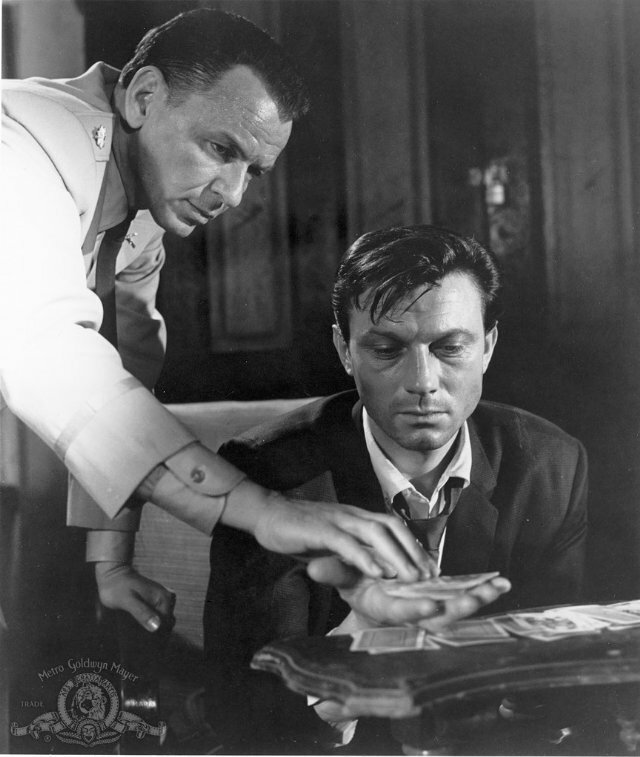 During the Korean War, Bennett Marco (Frank Sinatra), Raymond Shaw (Laurence Harvey) and their captured platoon were brainwashed by Communists seeking to take over the United States. The tendencies to fear and demonize the other continue today. What distinguishes justified concerns from paranoia? The distinction becomes even blurrier when those making the most forceful accusations are the very ones to be wary of. 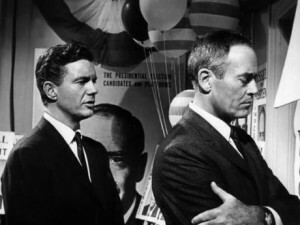 As William Russell (Henry Fonda) and Joe Cantwell (Cliff Robertson) vie for their party’s presidential nomination, charges of infidelity, mental illness and homosexuality emerge. Though this film is outdated in its portrayal of how nominees are selected at conventions, the manipulation of public image and perception is still very relevant. Does the current electoral process make it more or less likely that the best man or woman is chosen? 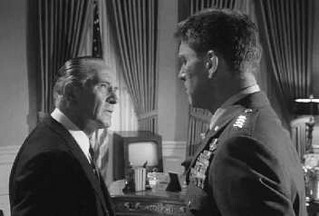 Air Force General James Mattoon Scott (Burt Lancaster) plots a coup d’état after U.S. President Jordan Lyman (Frederic March) signs a nuclear disarmament treaty with the Soviet Union. Should there ever be an appropriate occasion to suspend constitutional rights for the good of the country, or does the desire to do so reveal a perverted sense of patriotism? 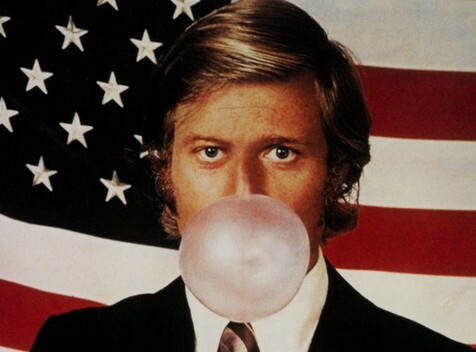 Bill McKay (Robert Redford) runs for what appears to be an unwinnable seat in the U.S. Senate. McKay’s ideals are manipulated as he adjusts his message to win more votes. How honest are candidates with the public and themselves when campaigning? How far should they be willing to go in order to win? 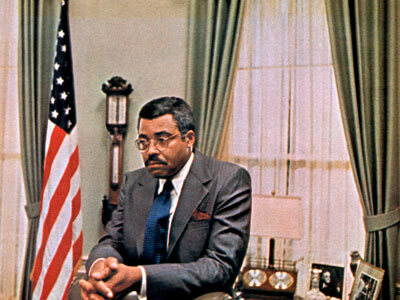 Through a series of unforeseen events, Douglass Dilman (James Earl Jones) becomes America’s first black president and encounters unprecedented resistance. Forty years later fantasy meets reality as President Obama faces similar challenges regarding his citizenship, qualifications and legitimacy. 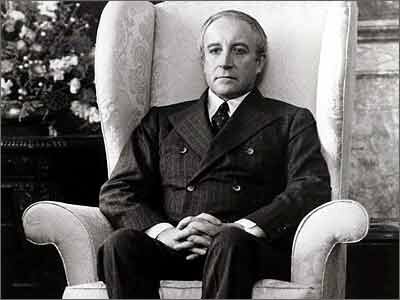 Chance (Peter Sellers), a simple-minded gardener, rises to national prominence based on misperceptions. His good fortune is reminiscent of reality television “stars” who achieve undeserved celebrity status through the exploitation of their dysfunctional behavior. 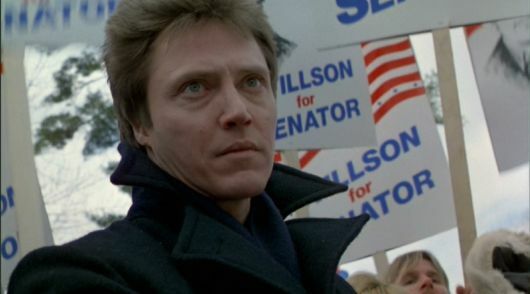 The Dead Zone is the best film adaptation of a Stephen King novel, and it may seem out of place on this list at first glance. Johnny (Christopher Walken) awakens from a coma with psychic powers. He meets Greg Stillson (Martin Sheen), a charismatic candidate for the U.S. Senate, and foresees an ominous future. How much do we really know regarding the true motives of political candidates? 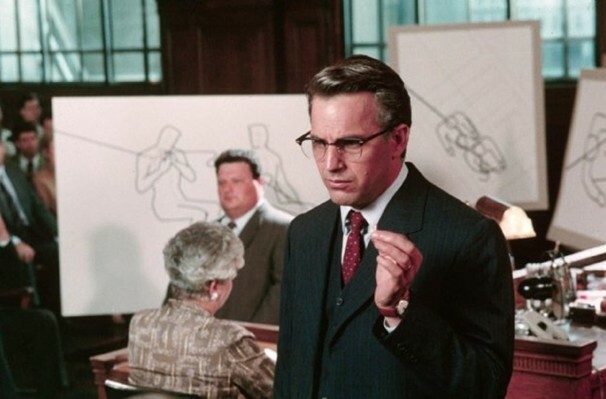 Jim Garrison (Kevin Costner) loses his political innocence while searching for the truth behind President Kennedy’s assassination. How many of us have similarly transitioned from blind trust to healthy skepticism regarding our government and other matters? 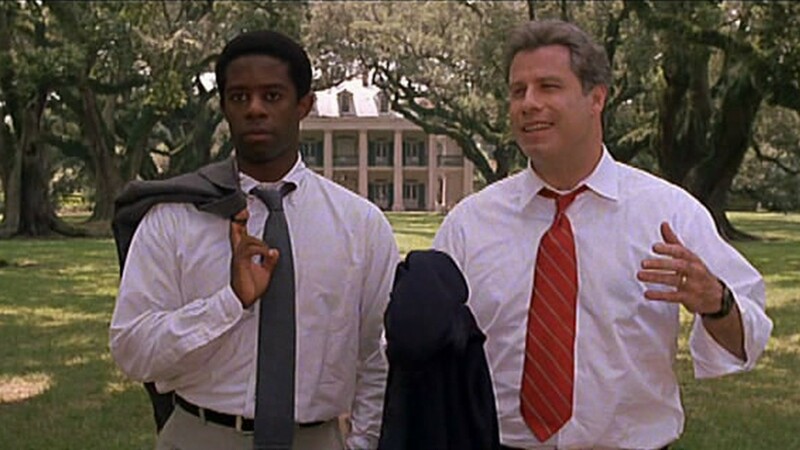 Henry Burton’s (Adrian Lester) political idealism is thoroughly tested when he joins the presidential campaign of Jack Stanton (John Travolta). Should past and/or present indiscretions be held against political candidates? Can a morally flawed person be an effective office-bearer? What are your favorite political films? Great list of thought-provoking films. If you have room for one more, I would suggest “Power” starring Richard Gere and Denzel Washington. The movie shows how money controls candidates and elections. There’s always room for more films, especially those featuring Denzel Washington. The issue of money really resonates after the Citizens United ruling. Thanks for sharing your favorite!